Feel like staying in tonight? 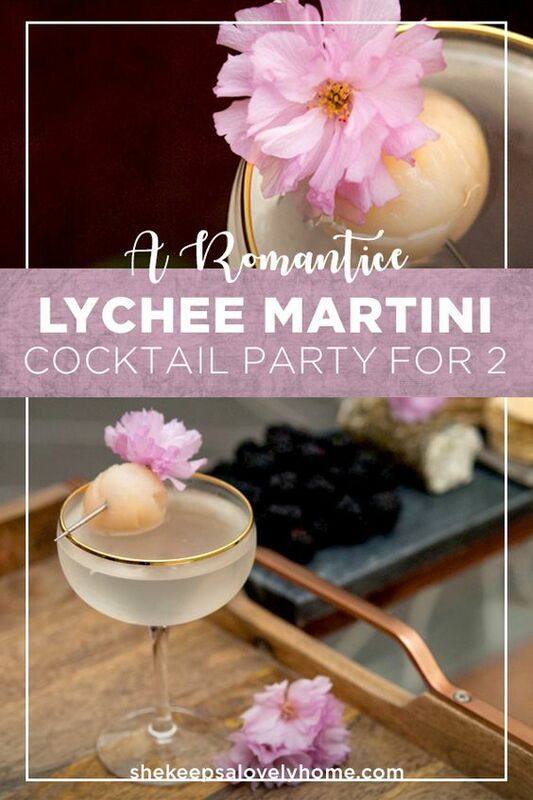 Why not create a little lychee martini cocktail party for you and someone special. It’s so lovely what a few cherry blossoms can do to your cocktails! Cherry Blossom season is one of my favorite times of year in Park Slope. The trees are bright pink and flowers of every color are starting to bloom on every street. 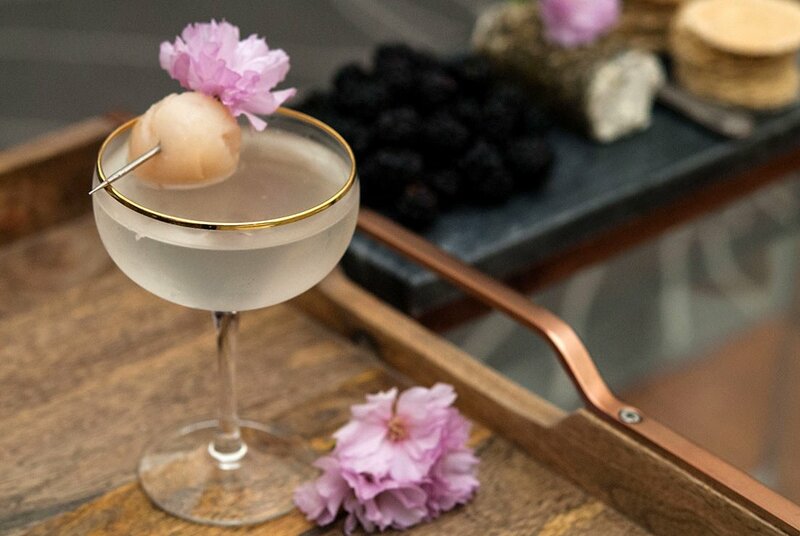 My husband and I wanted to have a little movie night, so I thought I’d pick a few flowers outside and add them to my lychee & sake martini. 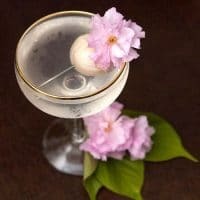 I added just a little bit of lychee juice to a dry sake and gave it a good shake in my cocktail shaker. I love when sake is freezing cold. 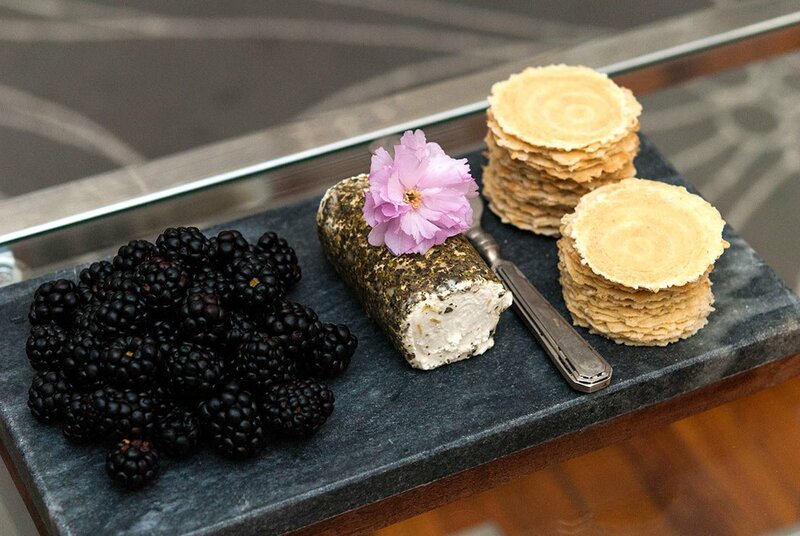 I love the flavor combination of herbed goat cheese and blackberries. They make such a lovely little evening snack. 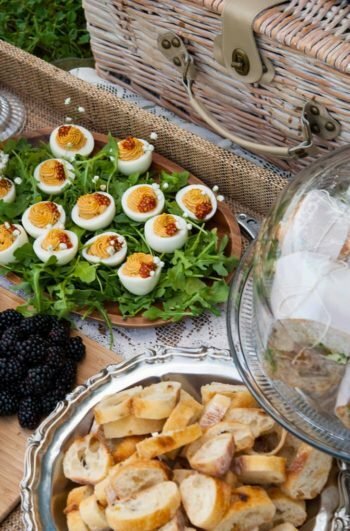 It doesn’t take much to dream up a pretty little cocktail party for 2. 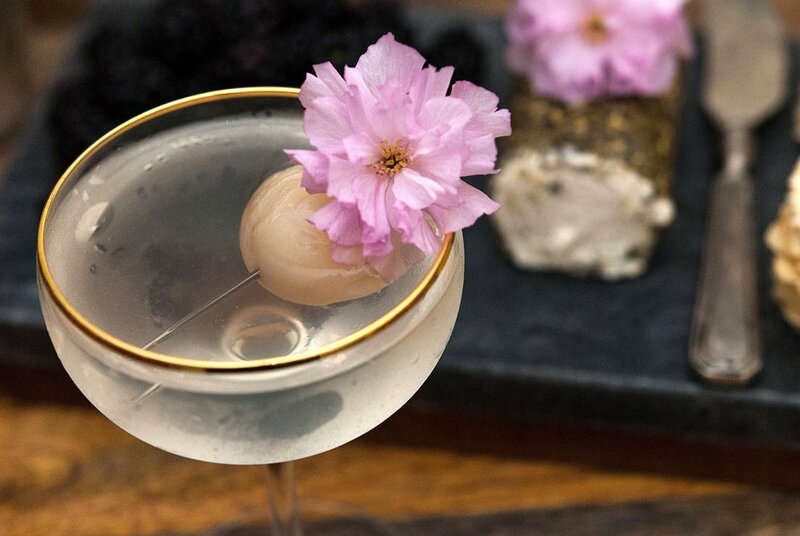 A few flowers, a tasty cocktail and a pretty cheese plate is all you need! 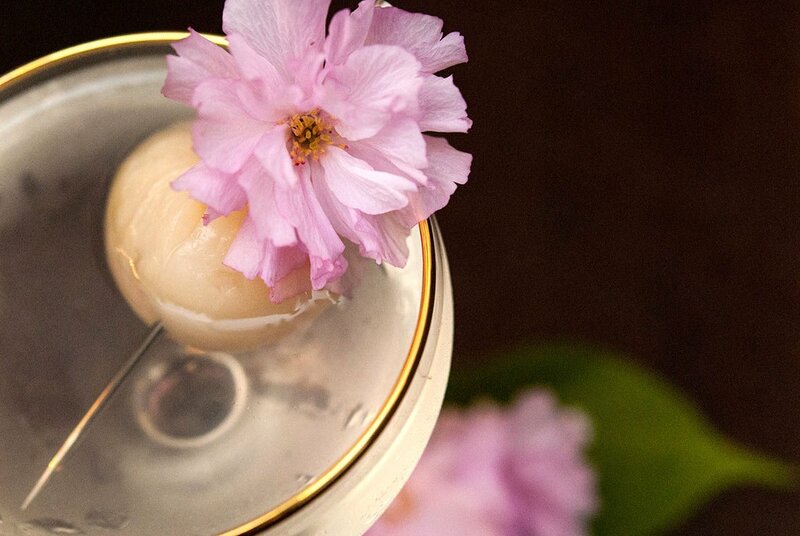 This lychee martini is light, delicate, refreshing and simply lovely when garnished with a lychee and cherry blossom. Pour sake and lychee juice into a shaker with ice. Shake gently, pour, garnish and serve. You'll find lychees and lychee juice in the canned fruit section of your grocery store. You can also buy fresh lychees, and you can find lychee juice separately in a specialty juice section of your grocery store.